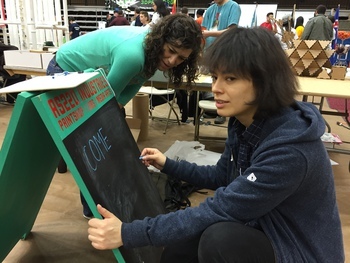 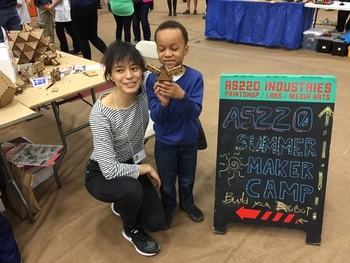 AS220 Labs and Fab Academy members Aisha Jandosova, Melita Morales and Kenzo Abiko were at the Robot Block Party this past weekend. 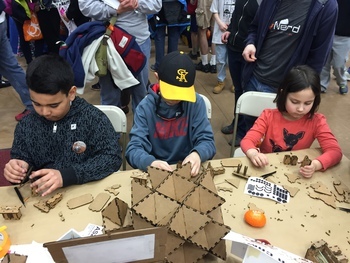 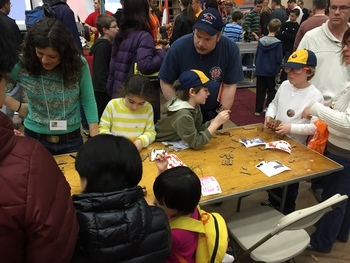 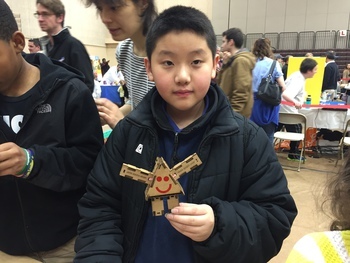 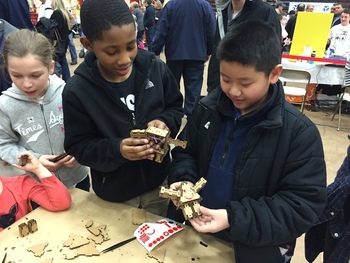 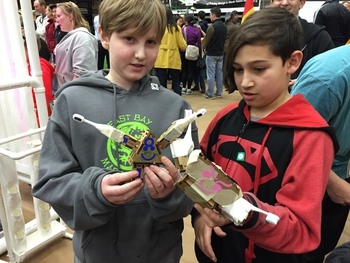 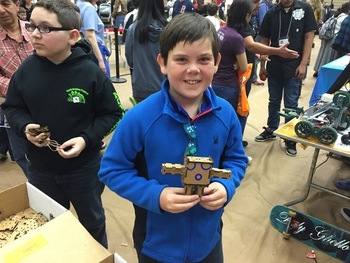 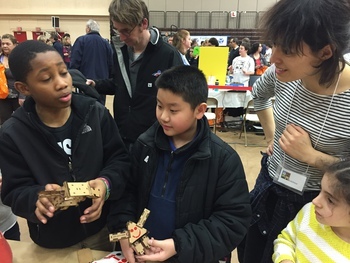 The Robot Block Party is an event run by the RI Students of the Future; kind of a Mini Maker Faire with a robot theme. 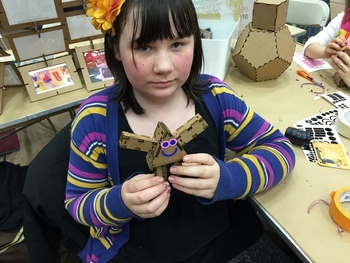 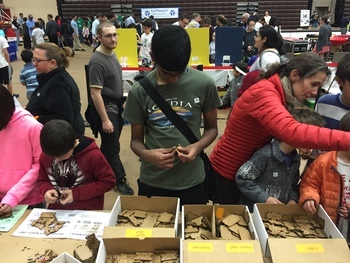 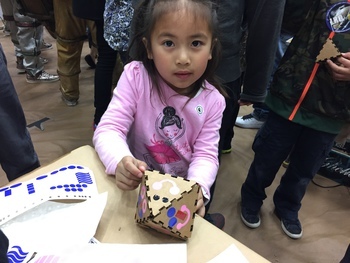 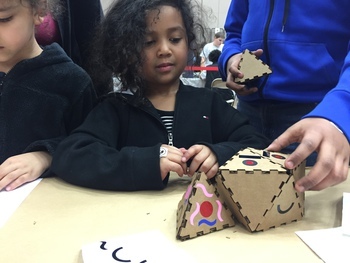 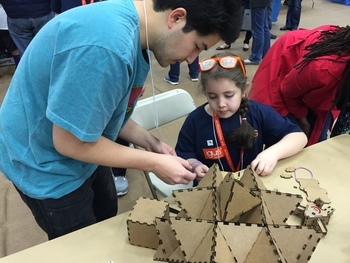 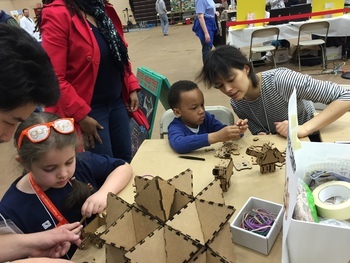 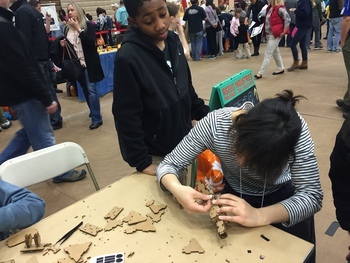 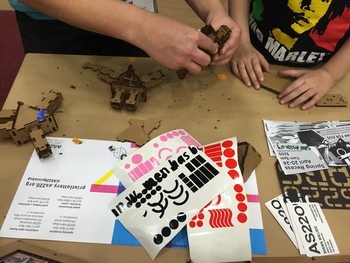 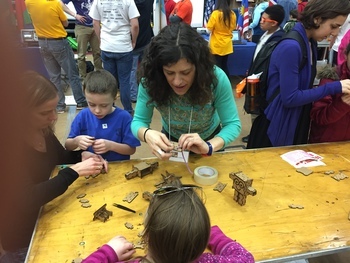 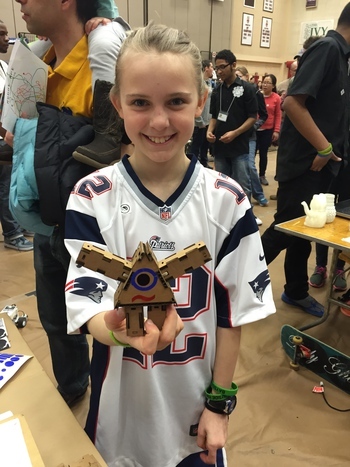 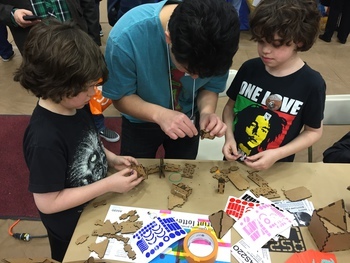 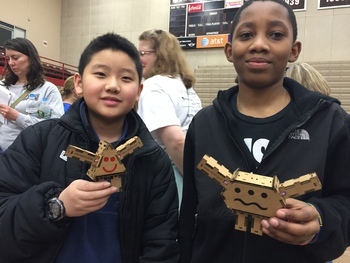 Aisha designed some very nice laser cut pressfit cardboard robots which were a great hit (we ran out of parts around 3:00). 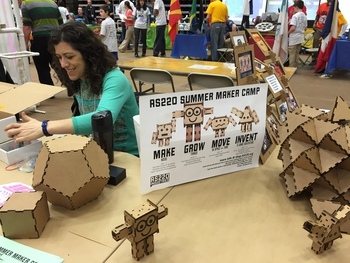 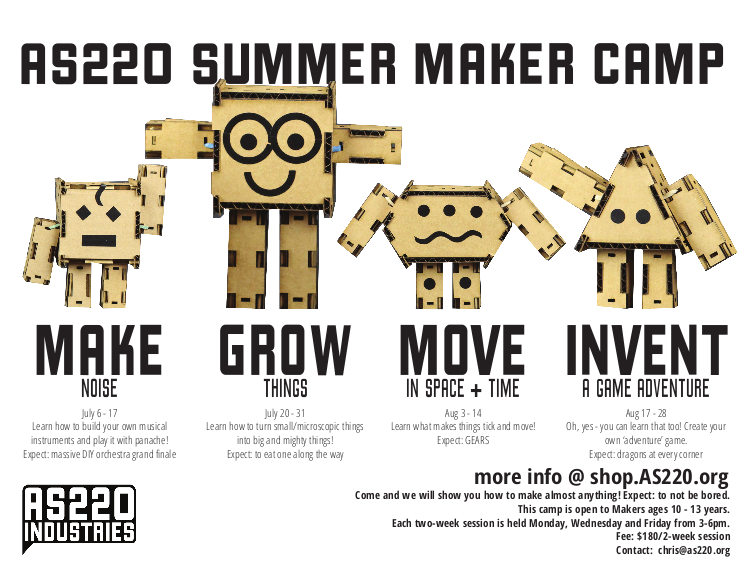 We also announced the summer Maker Camp for middle school kids, happening this July and August.